Seeing as I’m looking to attempt to obtain the VCDX5-DCV for vSphere 5 I thought it would only make sense to create a page of all the tips and resources I find in preparing,creating and submitting my design and what to expect and do prior to my defence. Very much like my VCAP resources pages I’m hoping to get as many resources and helpful tips and tricks to not only help me be fully prepared for it all but also hopefully help loads of the other people out there looking to obtain this illustrious accreditation. Jon Hall from VMware has posted some great articles all about the differences between Conceptual, Logical and Physical, Functional versus Non-functional Requirements, Developing a Strategy and Deployment Plan, Optimizing your VMware Environment and Four Keys to Managing a VMware Environment. Each of these are brilliant in preparing for and understanding the best practices/methods in creating your VCDX design especially the Conceptual, Logical and Physical document. Josh Odgers has done an unbelievable three part series around the VCDX Defence. He covers the defence of your design , the design scenario and the troubleshooting scenario. Michael Webster has done a great posting titled “My Recommendations for VCDX Candidates“. He gives some really helpful tips and advice in your preparations and for what to expect before ,during and after the defence. Duncan Epping has done a great break down of all the tips from VCDX 001 John Arrasjid. 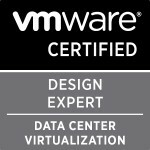 Some top tips for anyone just doing a VI design never mind the VCDX. Brian Rice has posted two threads on the VMware communities VCDX forum around the most common errors in VCDX Applications and defenses. There are some really good tips in here. Brian Suhr has created an index of VCDX Preparation material on his blog here. Really can’t wait for the VCDX 5 exam. I wonder what will VMware change in the exam. Do you know any rumors? Thanks for the plug Gregg. Twelve months is more than enough time to prepare, six months is possible if one is already doing designs, whiteboarding and architecture as part of one’s job, maybe even less. Welcome 😀 Yeah I’m going to see how my VCAP5 exams go and maybe I’ll succumb and insert a design. Congrats on gaining VCDX!! Great blog Gregg, best of luck with your VCDX 5 preparation and future defense.